TRANSLATOR’S PREFACE A few words about Dostoevsky himself may help the English reader to understand his work. Dostoevsky was the son of a doctor. His parents were very hard-working and deeply religious people, but so poor that they lived with their five children in only two rooms. The father and mother spent their evenings in reading aloud to their children, generally from books of a serious character. 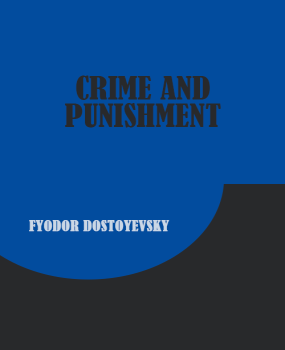 Though neither by temperament nor conviction a revolutionist, Dostoevsky was one of a little group of young men who met together to read Fourier and Proudhon. He was accused of “taking part in conversations against the censorship, of reading a letter from Byelinsky to Gogol, and of knowing of the intention to set up a printing press.” Under Nicholas I. (that “stern and just man,” as Maurice Baring calls him) this was enough, and he was condemned to death. After eight months’ imprisonment he was with twenty-one others taken out to the Semyonovsky Square to be shot. Writing to his brother Mihail, Dostoevsky says: “They snapped words over our heads, and they made us put on the white shirts worn by persons condemned to death. Thereupon we were bound in threes to stakes, to suffer execution. Being the third in the row, I concluded I had only a few minutes of life before me. I thought of you and your dear ones and I contrived to kiss Plestcheiev and Dourov, who were next to me, and to bid them farewell. Suddenly the troops beat a tattoo, we were unbound, brought back upon the scaffold, and informed that his Majesty had spared us our lives.” The sentence was commuted to hard labour. The intense suffering of this experience left a lasting stamp on Dostoevsky’s mind. Though his religious temper led him in the end to accept every suffering with resignation and to regard it as a blessing in his own case, he constantly recurs to the subject in his writings. He describes the awful agony of the condemned man and insists on the cruelty of inflicting such torture. Then followed four years of penal servitude, spent in the company of common criminals in Siberia, where he began the “Dead House,” and some years of service in a disciplinary battalion.